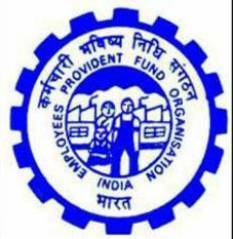 The Employees Provident Fund (EPF), the social security scheme for persons working in the organised sector, has been evolving over the years to keep pace with the changing times. The Employees Provident Fund (EPF), the social security scheme for persons working in the organised sector, has been evolving over the years to keep pace with the changing times. While making these changes, the government has tried to strike a balance between the interests of both the employers and the employees. Let us look at some of the key changes. The EPF was hitherto available for employees in the organised sector. Now, the EPF coverage has been extended to self-employed persons and professionals who can join in by enrolling themselves and contributing into the scheme. Of course, since the professionals or self-employed persons are not employees of any company or organisation, there will be no matching contribution from any employer. In the case of employees, the employer also contributes towards Employees’ Deposit Linked Insurance Scheme and pays expense charges of 0.65% to the Employees Provident Fund Organisation. The contribution of the employer may be included in the remuneration package of the employee by way of cost-to-company (CTC). The employee’s contribution from the salary towards PF is eligible for deduction under 80C, the employer’s contribution is not taxable. Employees can also increase their contribution voluntarily, subject to specified limit of the total salary. The EPF members can borrow or withdraw up to 90% of the PF amount for certain major events such as children’s marriage, buying a house or plot of land, etc.